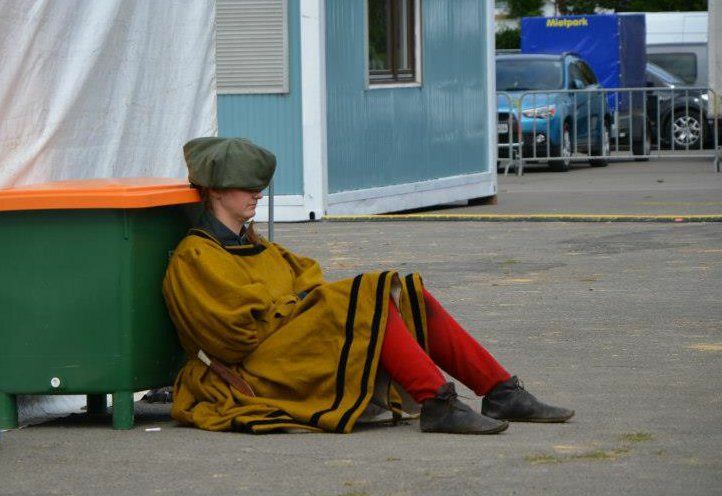 The Jousting Life: An Interview with Alix van Zijl: Competitor at "The Grand Tournament in Sankt Wendel"
An Interview with Alix van Zijl: Competitor at "The Grand Tournament in Sankt Wendel"
Alix van Zijl was one of the competitors at “The Grand Tournament in Sankt Wendel”. It is interesting, though not significant, that she was the only female competitor. 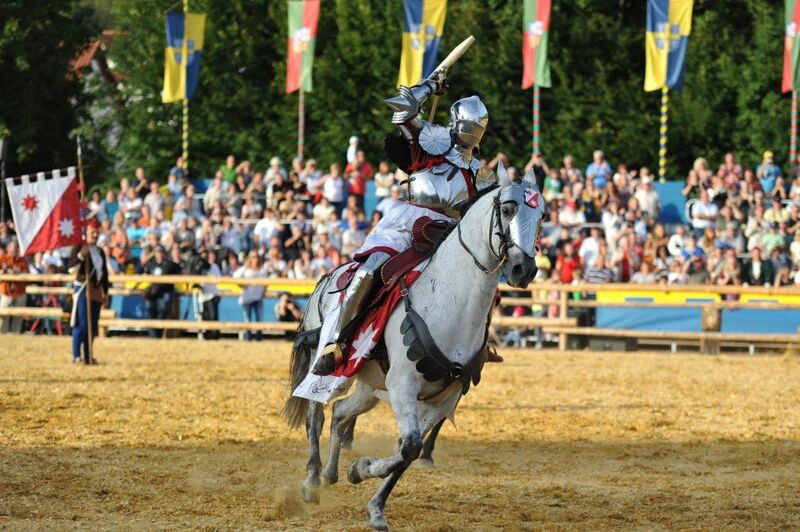 In jousting, as in many equestrian sports, competitors are not separated by gender, and both male and female participants must meet the same requirements. 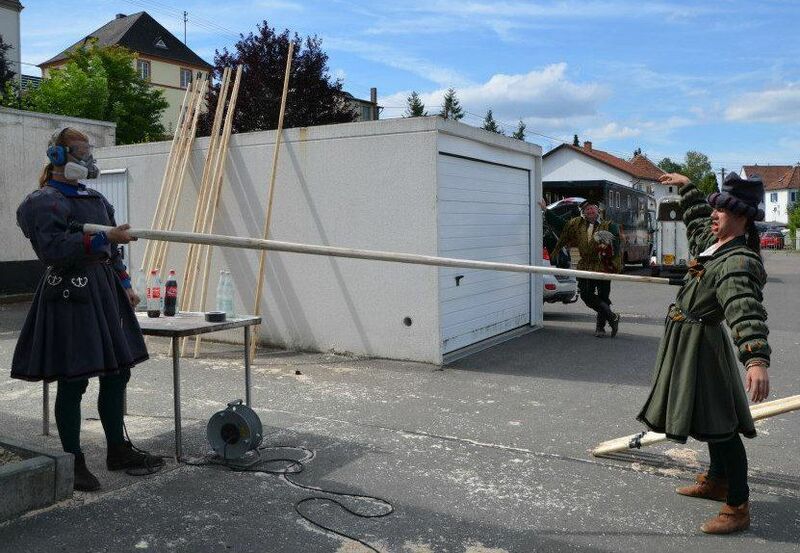 For that, and other reasons, the organizers of "The Grand Tournament in Sankt Wendel"(GTSW) chose not bring attention to the fact that one of the participants was female. Alix was kind enough to answer a few questions about her experiences during the GTSW. How did you become involved with “The Grand Tournament of Sankt Wendel”? 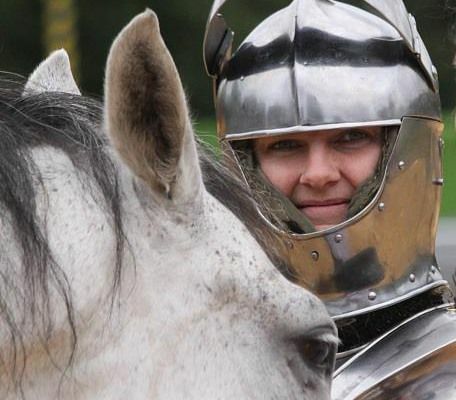 Alix: I've known Arne Koets for a long time, and he asked if I could supply two jousting horses for Sankt Wendel, and if I I wouldn’t mind bringing my armour along as a spare rider. In the end, there were two people who couldn't make it for the melee, so I could join. Tell me the name of and a little about your history/relationship with the horse you rode in the GTSW. Alix: The horse I rode is a 5-year old Andalusian stallion, called Torero. I bought him a year ago in Spain. He is a very willing horse, and very sensitive, which makes him a charm to ride in the melee. You just have to think what you want, and he'll do it for you. In the joust, he goes straight as an arrow and as fast as well. Please describe the person, place or thing that made the biggest impression on you when you first arrived at/during the days leading up to the GTSW. Alix: I was really impressed by the whole group, how much people still want to learn, even though they are in the top 10 already. Most impressed I was with Petter Ellingsen, who had to change horses on the (very early) morning of the first show day. 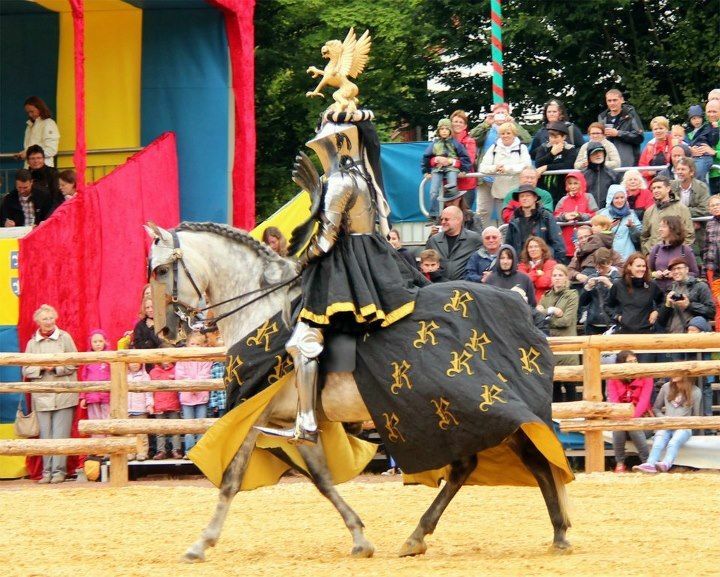 He did a wonderful job, adjusting fast to the horse, and growing in the joust itself, ending with a spectacular double hit with Per Estein on the last day. Alix: Well…meet Arto Fama, and you’ll know enough about the joking around. Alix: I was more than impressed by the riding of Joram van Essen during the last melee. I know his horse Zogo very well, and I know he is a bit “stug” as we say it in Dutch, a bit unflexible. The fact that he succeeded to do as an example: flying canter lead changes, not once but regularly, is impressive. And my ears are still ringing from the blows I got on the second day. Without a doubt, I was out. So much fun! What was it like to be the only female in the competition? Alix: It is an honour to be part of a group with such high standards. The fact that I am a female doesn't really count with these guys, which suits me very well. In a way it doesn’t matter, as long as one is safe and does a good job, has the right attitude and has a good armour, one is welcome. That is the way it should be. I do my best to be strong enough to handle the lances and the weapons just for the horses' and riders' sake alone. 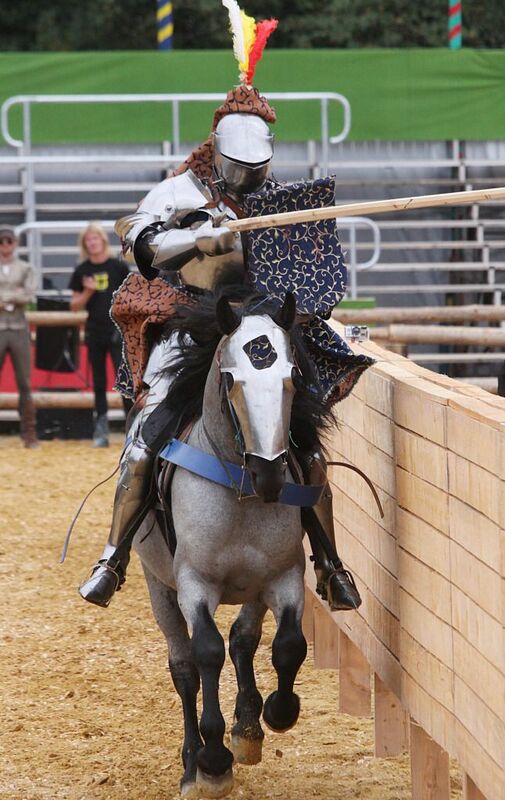 Why did you compete in the melee, but not in the joust? Alix: For the joust with solids I am not ready, yet. My armour needs a grand bascinet, not an armet[types of helmets], and the arret[lance rest] wasn’t even attached, yet. My horse and I can present a good target during the joust, but for lowering the lance safely… I need this winter to get ready and safe. If Arne would have lacked a jouster, I wouldn’t have minded to be a target, but hitting others… No, not yet. How did you feel about keeping your gender hidden from the audience? Alix: I didn’t really mind. I don’t like the attention if it’s just about my being a woman… If it’s about my skill that is a different thing altogether. Alix: Arne won that title with good reason. He was bothered by hurting Joram, and showed it this way. It is the way he jousts/fights/plays. 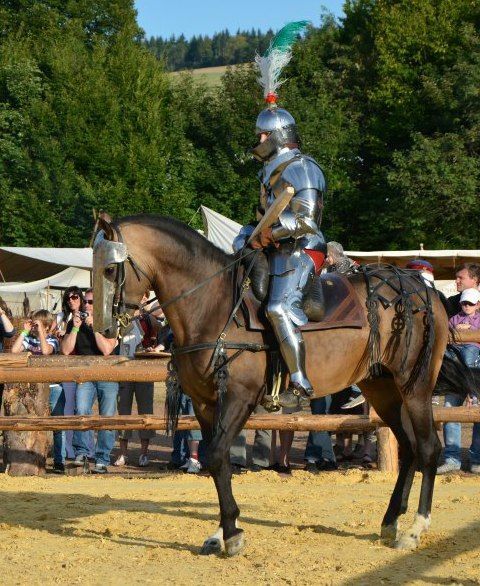 Andreas Wenzel won the “Joust of the Squires”. What would you like to say about his performance during the tournament? Alix: It is impressive what Andreas could do together with his horse. Sigi is not an easy horse, and Andreas just did it – the joust, the melee – as if he had been working with that horse for years, and I know for a fact that he hasn’t. Alix: Joram won with thanks to Arne and Petter, but I think it was very well deserved. 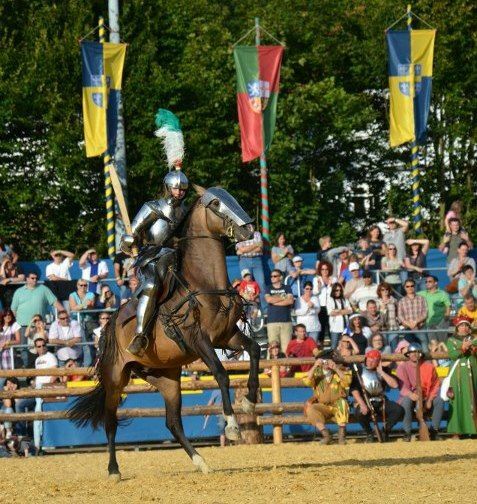 His horse was very good during the joust, well trained. He hit regularly and safely. And during the melee he fought well too, with the last melee as a beautiful example how good. Alix: The ground crew did a marvelous job. 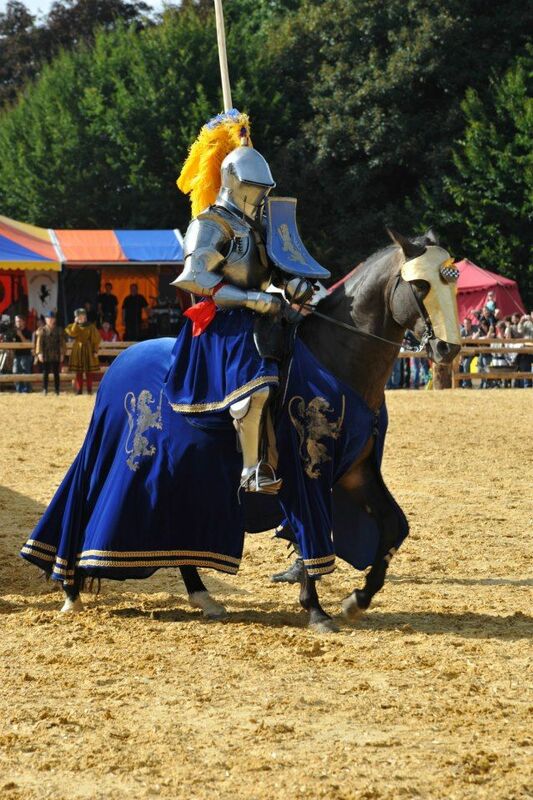 And as I was grooming as well, I know how short an hour is to change from jousting gear on a horse to melee gear. That was honestly amazing! Alix: It is great that this tournament came to be! 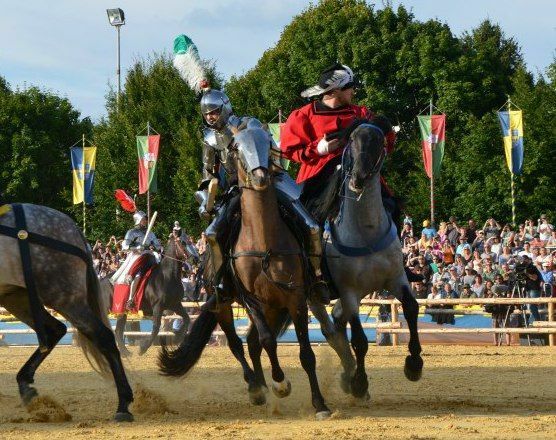 It was very well organized, not just the joust itself, but everything around it as well.